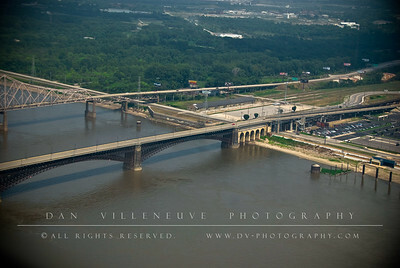 A view of the Martin Luther King Bridge (top) and the Eads Bridge (center) from atop the St. Louis Arch. 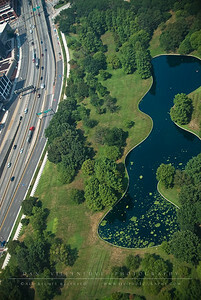 The southern pond at the Jefferson Nation Expansion Memorial as seen from atop the St. Louis Arch. 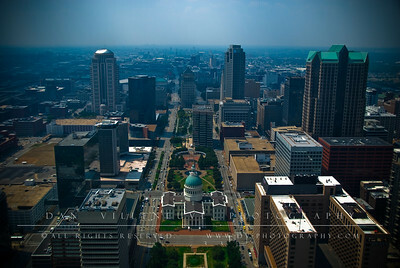 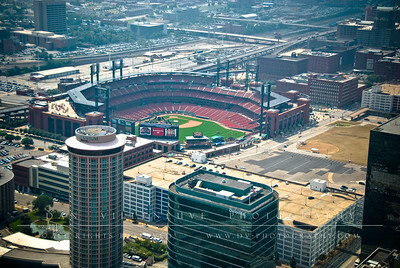 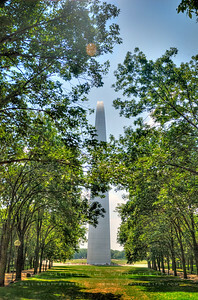 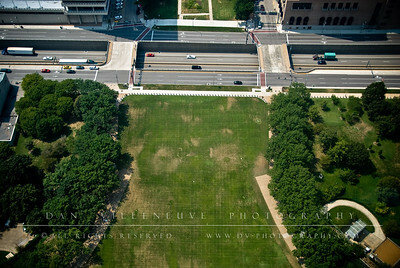 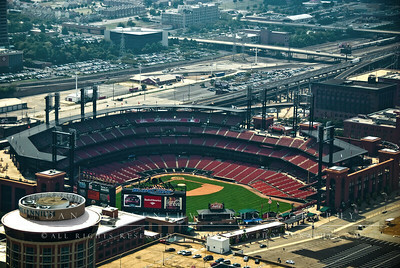 The park at the Jefferson Nation Expansion Memorial as seen from atop the St. Louis Arch. 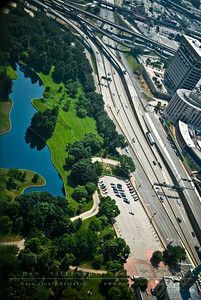 The northern pond at the Jefferson Nation Expansion Memorial as seen from atop the St. Louis Arch. 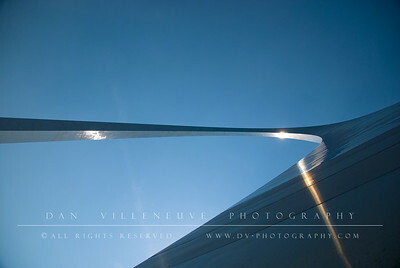 This boat is pushing several tethered barges down the Mississippi River as seen from atop the St. Louis Arch. 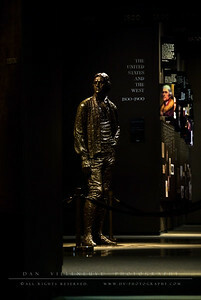 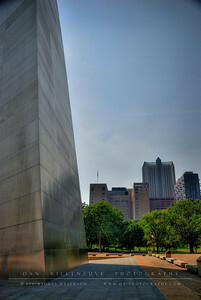 This statue of Thomas Jefferson is the center piece of the museum at the base of the St. Louis Arch. 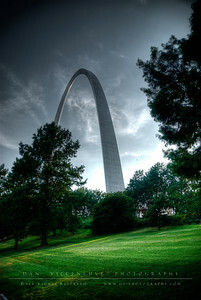 The Arch from the northern park. 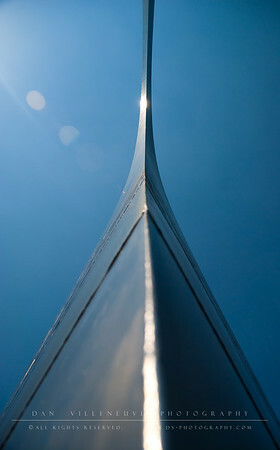 Inside seam of the northern leg of the Arch. 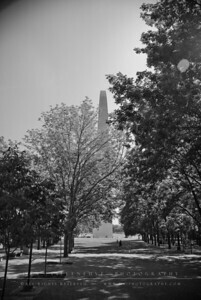 Eastern face of the northern leg of the Arch. 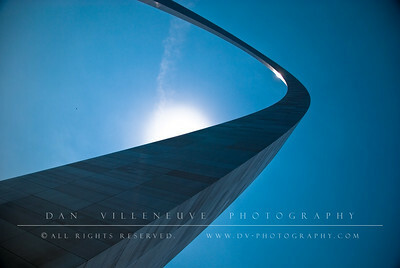 Eastern face of the northern leg and top of the Arch. 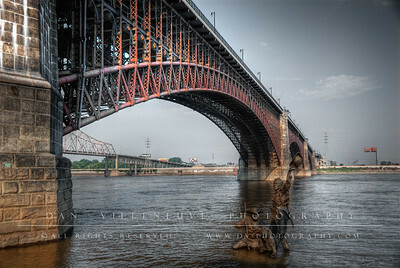 Eads Bridge and the Mississippi River with the Martin Luther King Bridge in the background. 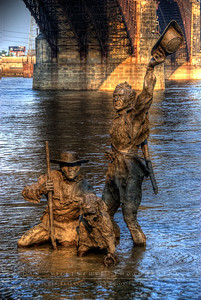 In the foreground is a tribute statue of Lewis and Clark. 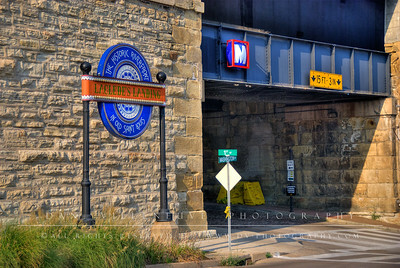 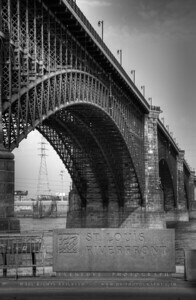 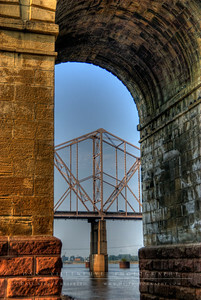 The superstructure of the Martin Luther King Bridge seen through the base of the Eads Bridge. 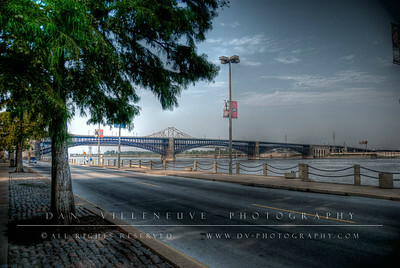 Looking south, the Mississippi River parallels the N Leonor K Sullivan Blvd and Arch. 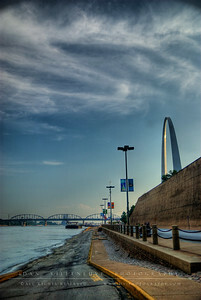 In the distance, you can see the Poplar Bridge and the railroad bridge. 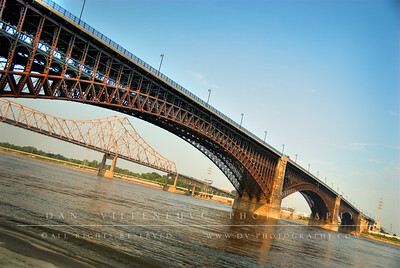 Eads Bridge and the Mississippi River with the Martin Luther King Bridge in the background. 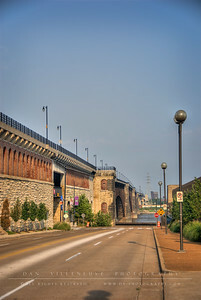 Looking north along the N Leonor K Sullivan Blvd, you can see the Eads and Martin Luther King Bridges that span the Mississippi River. 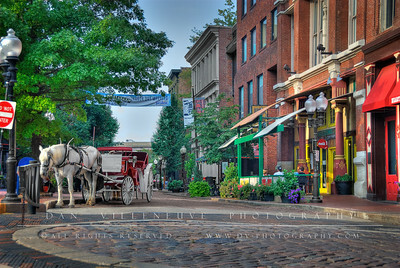 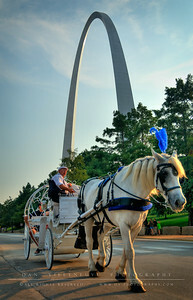 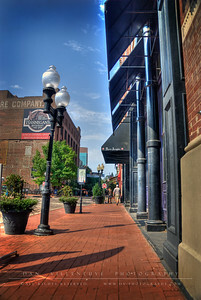 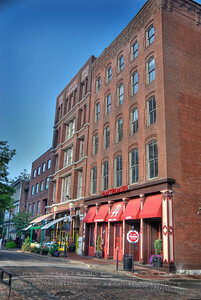 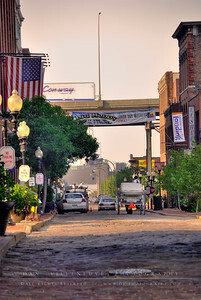 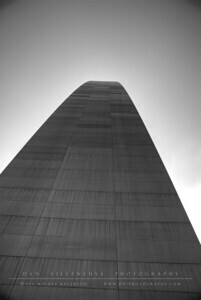 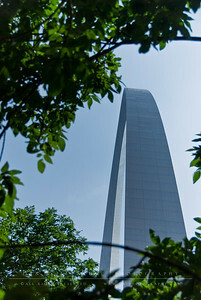 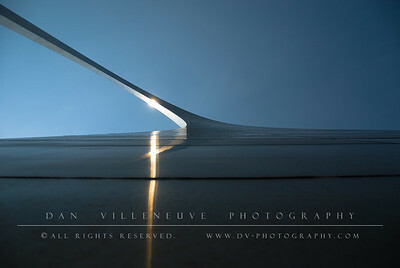 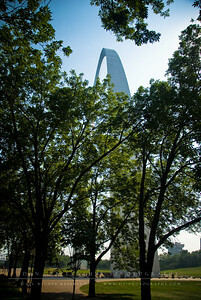 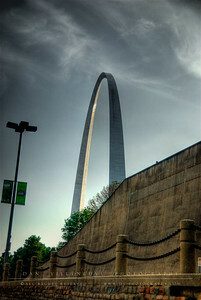 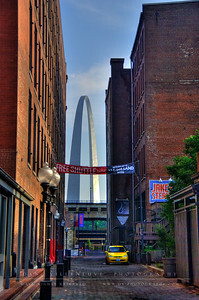 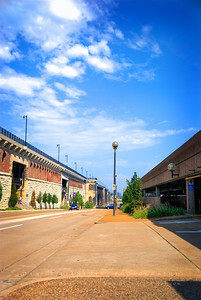 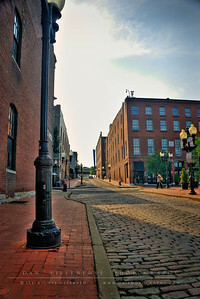 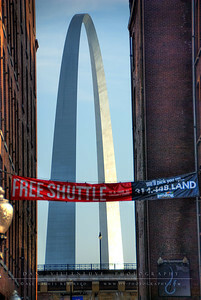 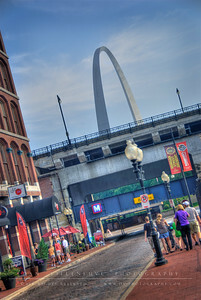 The Arch as seen from N Leonor K Sullivan Blvd.